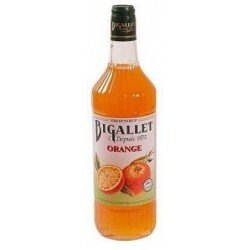 Bigallet Distillery is a family business located in the highlands of Dauphine, Isere to Panissage. 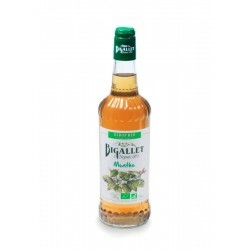 It mainly manufactures syrups and aperitifs made of fruit but also creams and regional liqueurs and fruit plants and products delicatessens like candy, nougat ... it has acquired the know-how over the years. Syrups There are 41 products. The anise syrup is pale yellow in color.On the nose, we find pronounced notes of slightly peppery anise.In the mouth, After a honeydew start, the power of the star anise takes full effect at the end of the mouth.Tasting tip: In lemonade, cocktail or with a gin.Ingredients: Sugar syrup, water, natural licorice-anise aroma, stabilizers: gums (arabic, ester). 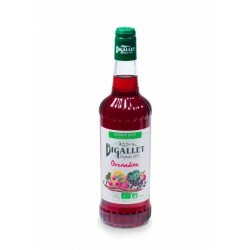 Cotton candy syrup produced in the tradition of home Bigallet, creator of revenues since 1872.Format lemonade bottle, also available in 1 L.
Raspberry syrup produced in the tradition of home Bigallet, creator of revenues since 1872.Format lemonade bottle, also available in 1 L.
Syrup genepi developed in the tradition of home Bigallet, creator of revenues since 1872.Format lemonade bottle. Lavender syrup produced in the tradition of home Bigallet, creator of revenues since 1872.Format lemonade bottle. 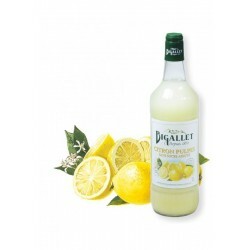 Chestnut syrup produced in the tradition of home Bigallet, creator of revenues since 1872.Format lemonade bottle, also available in 1 L.